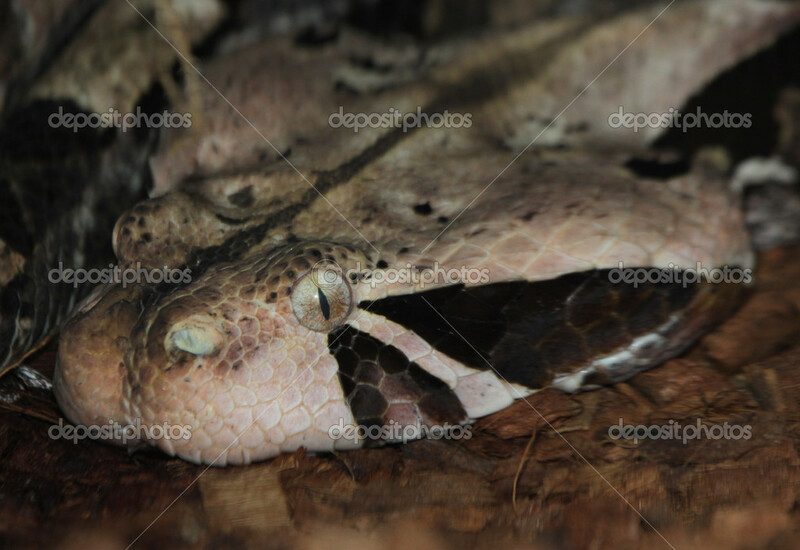 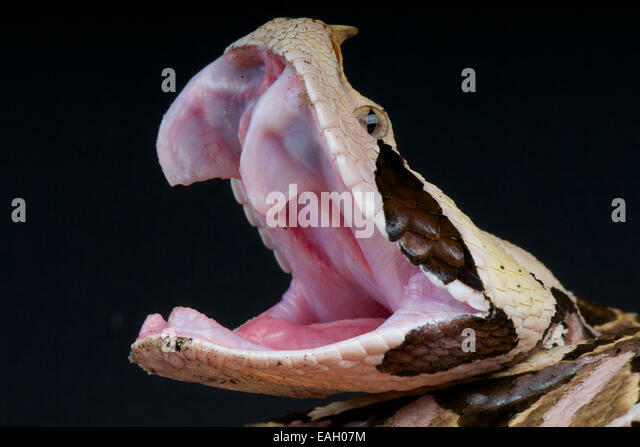 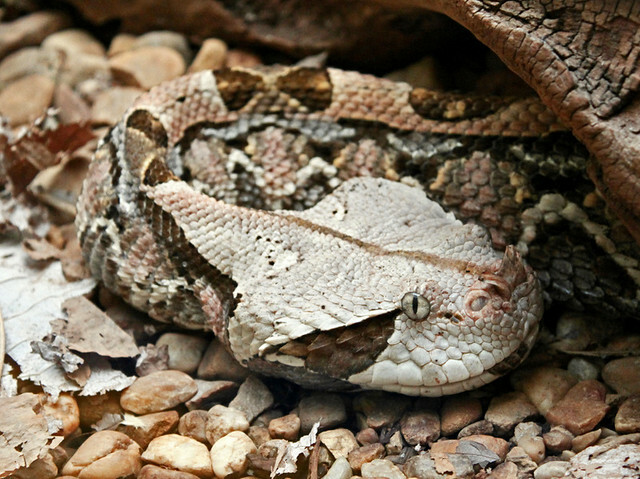 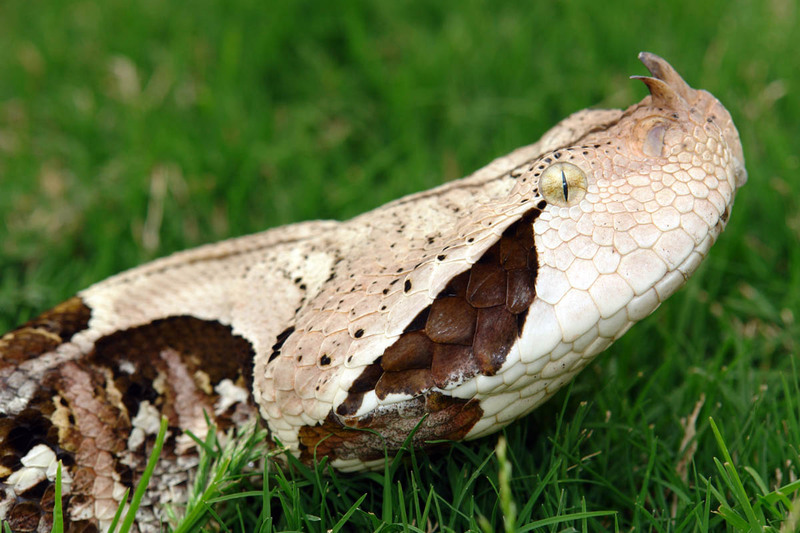 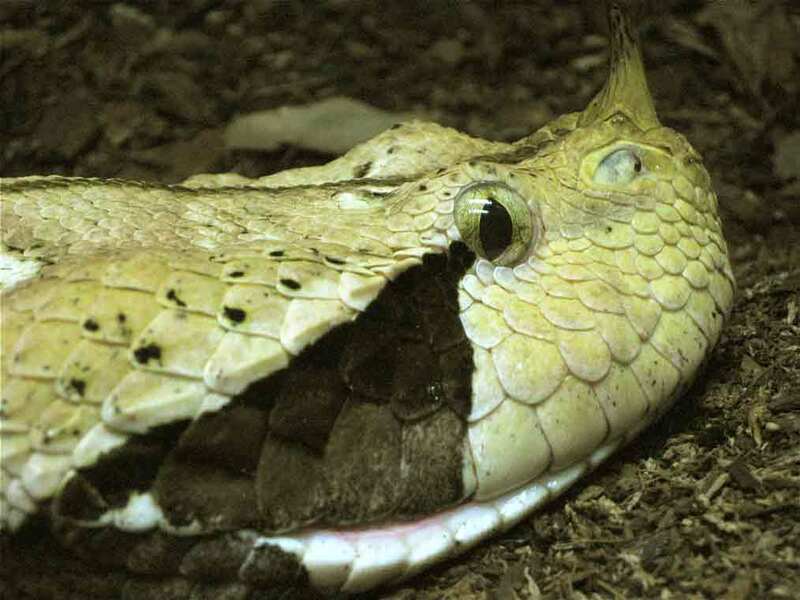 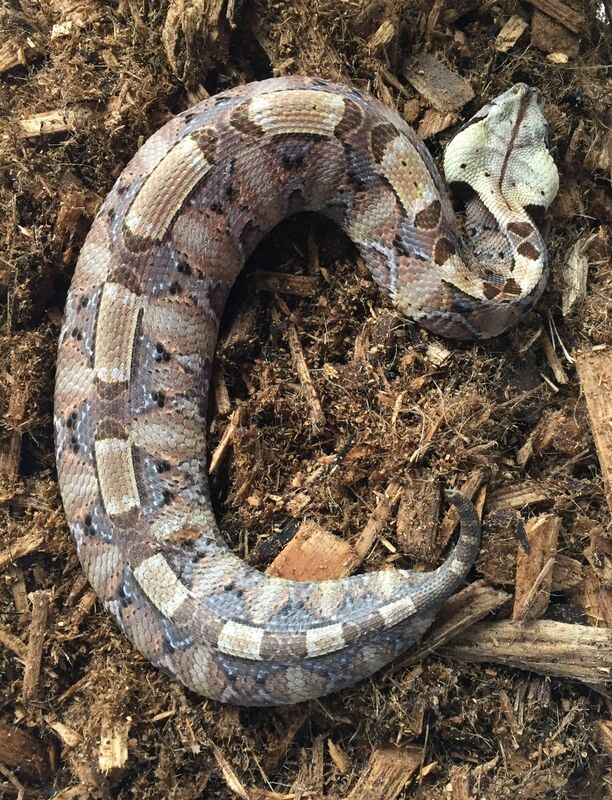 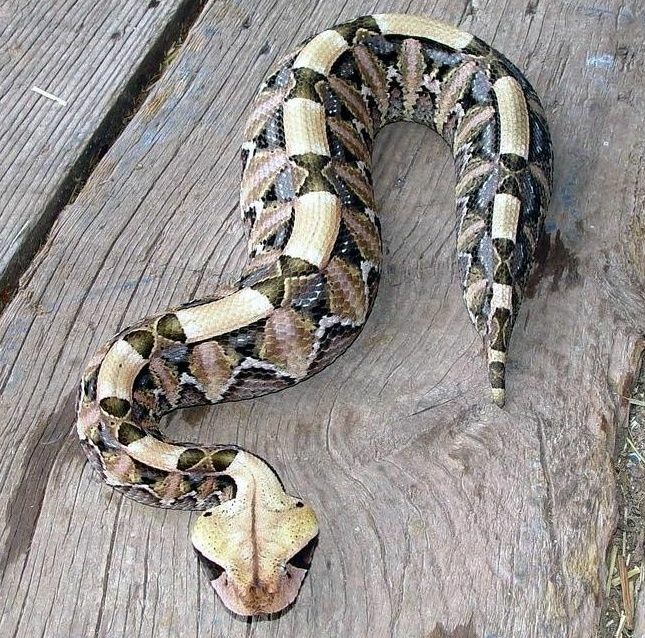 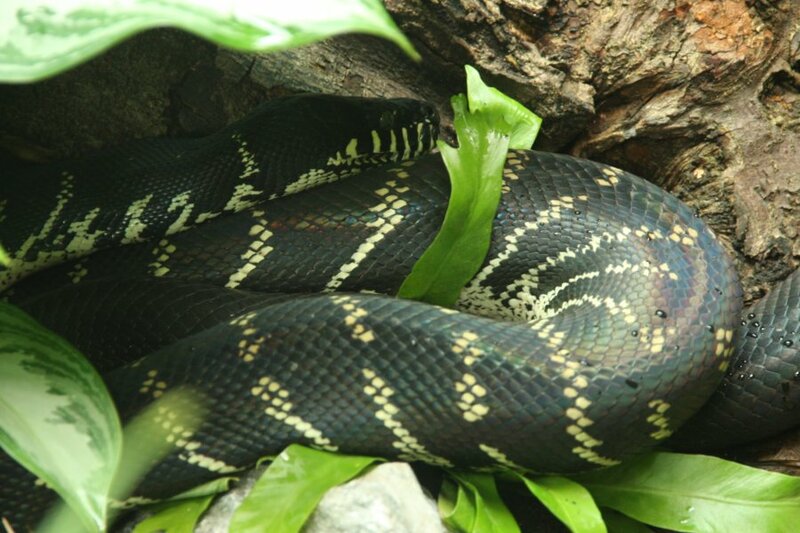 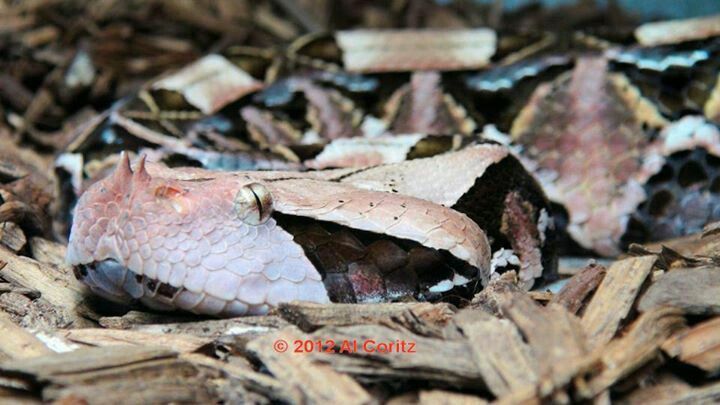 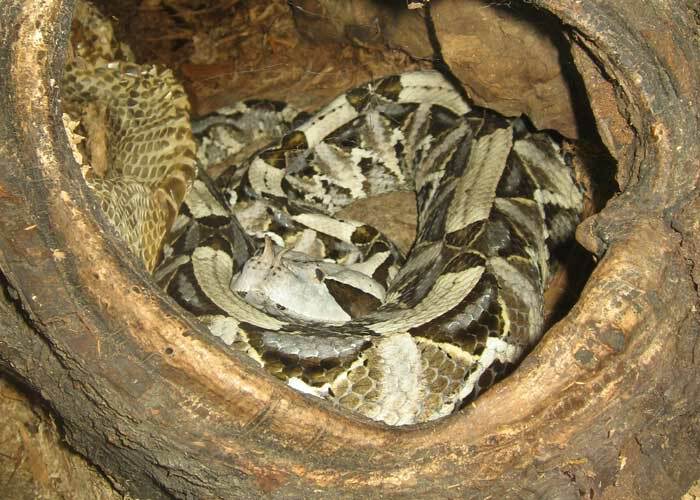 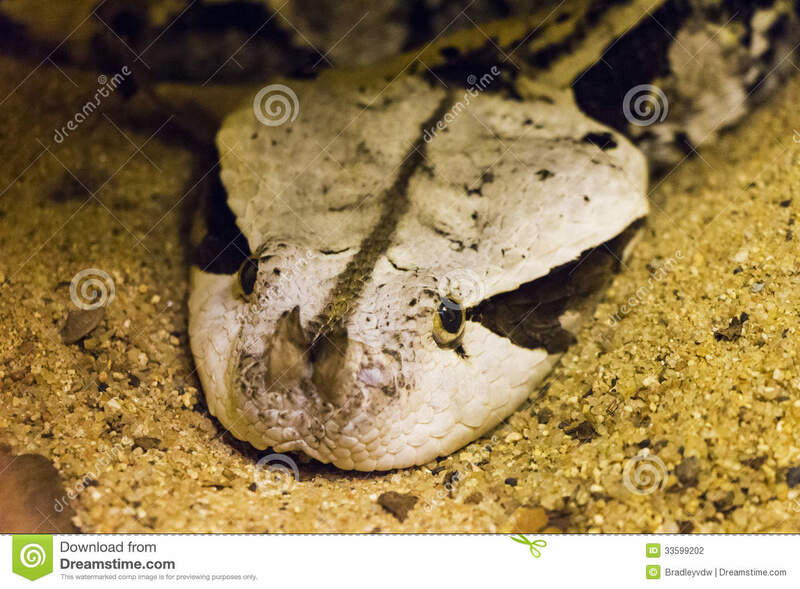 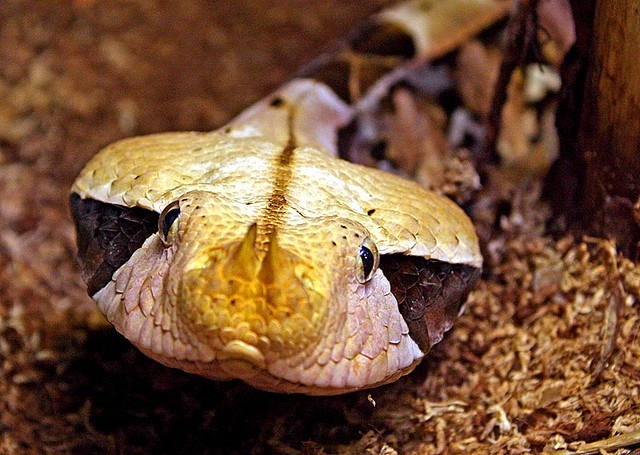 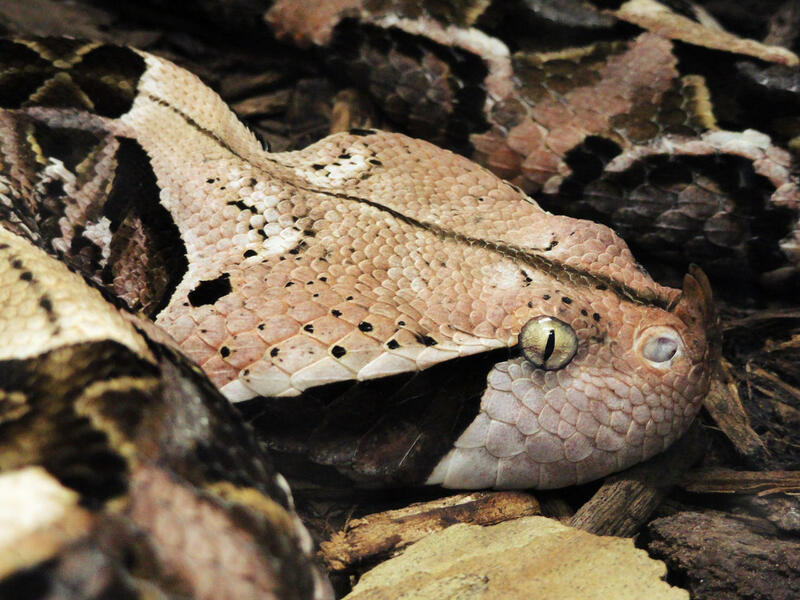 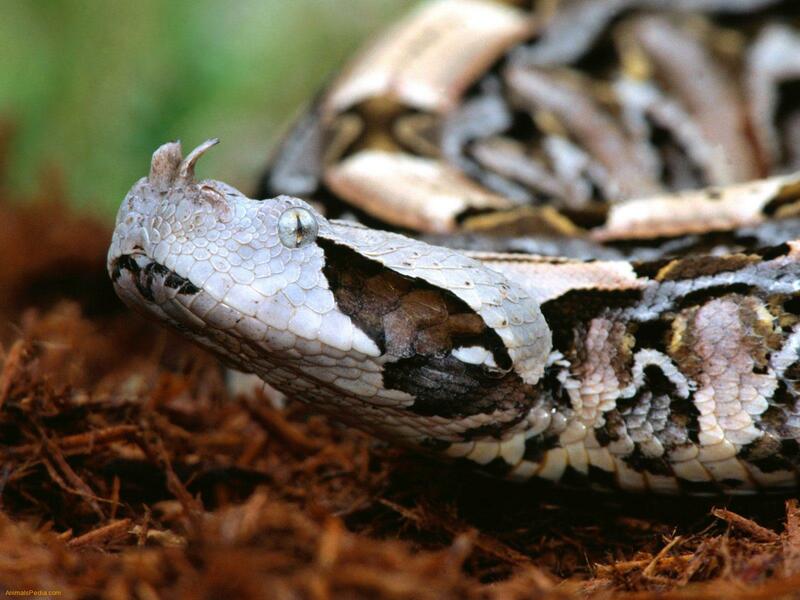 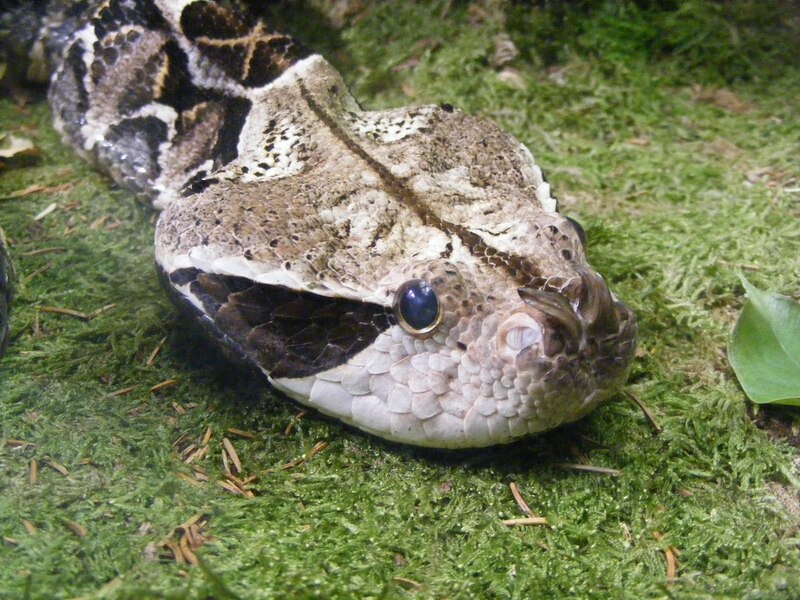 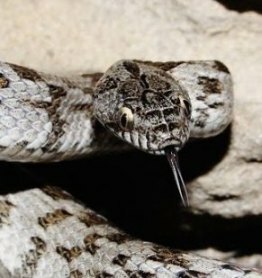 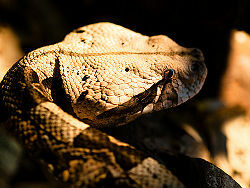 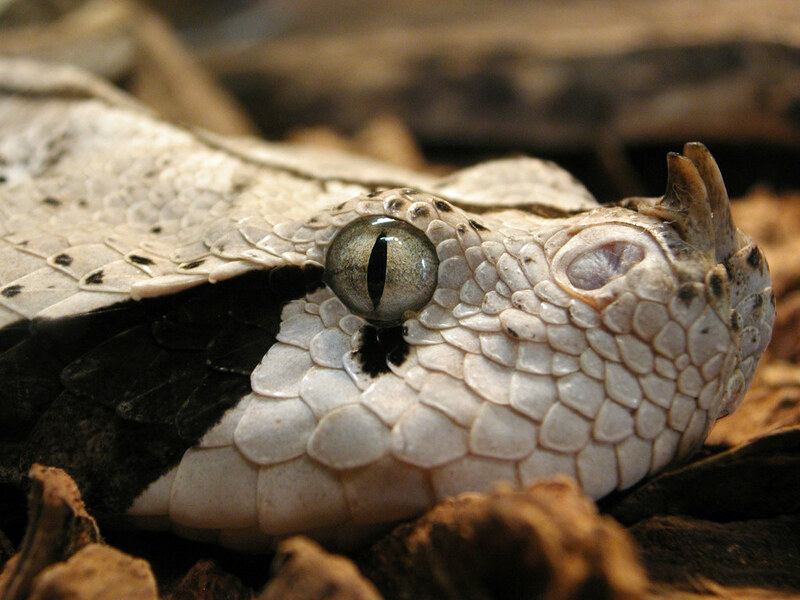 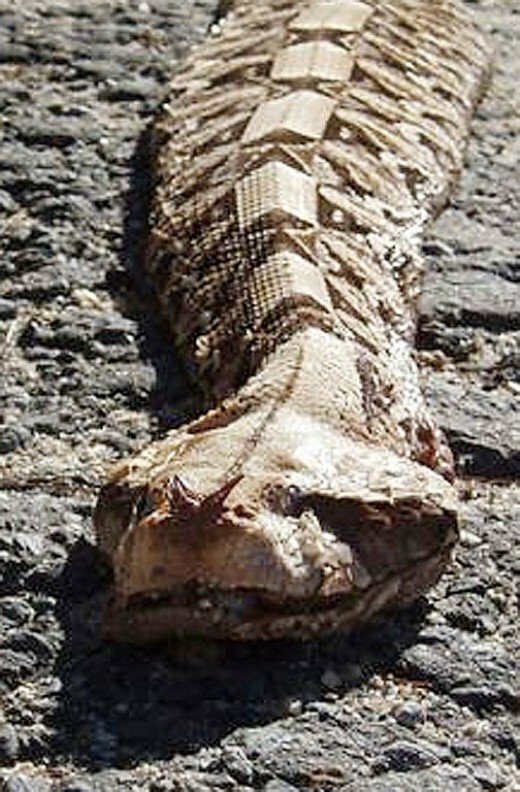 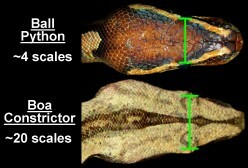 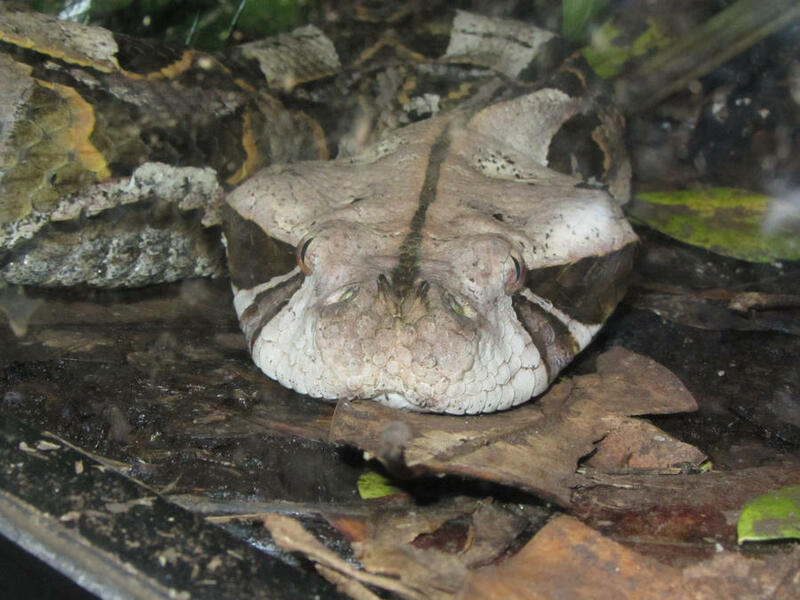 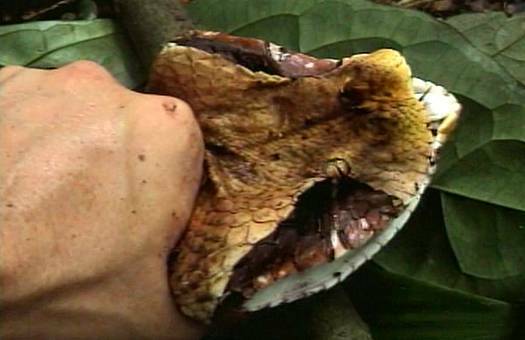 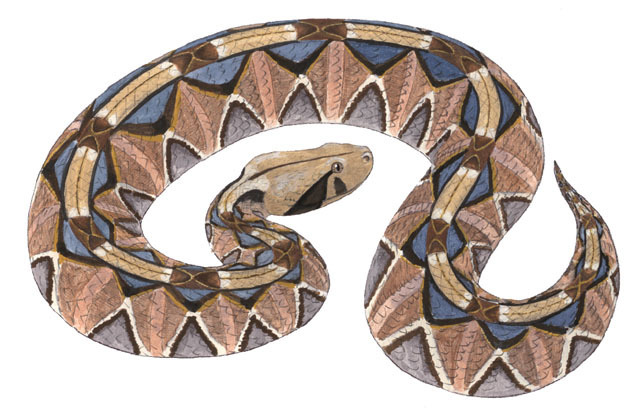 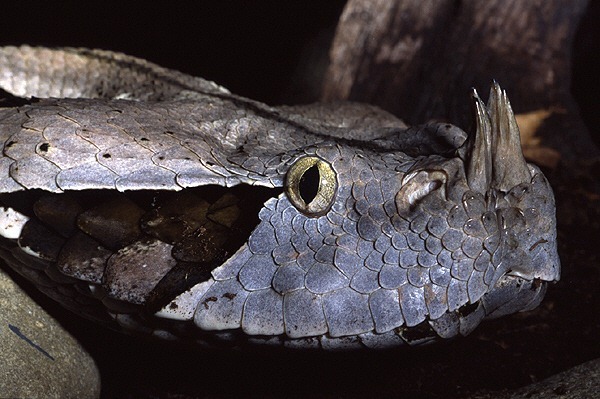 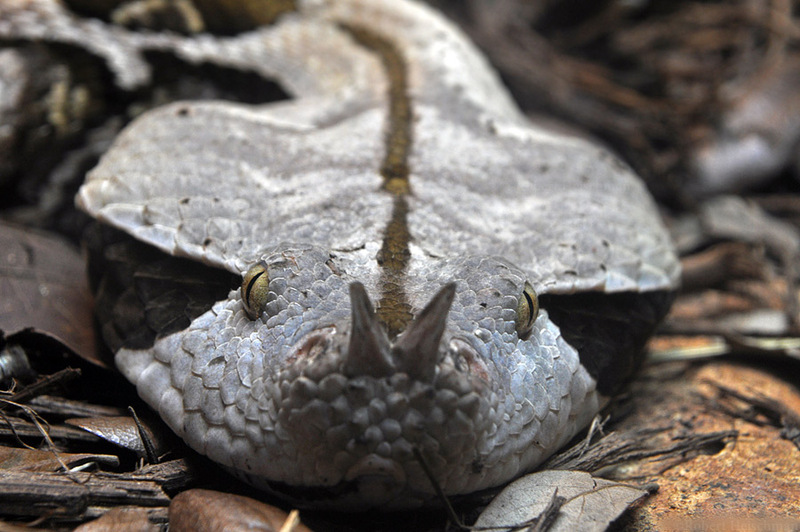 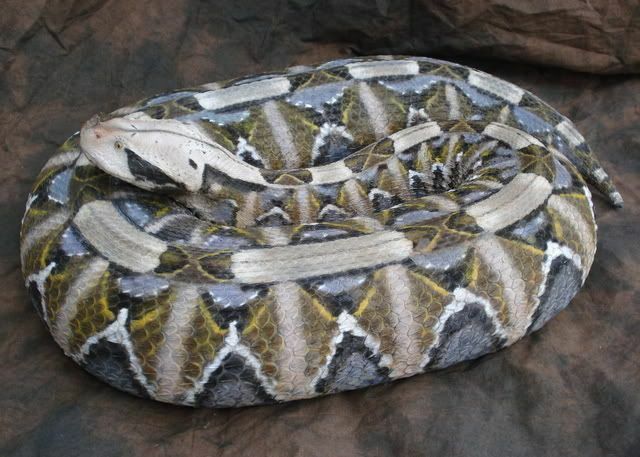 The Gaboon Viper is a species of viper known by the scientific name Bitis gabonica . 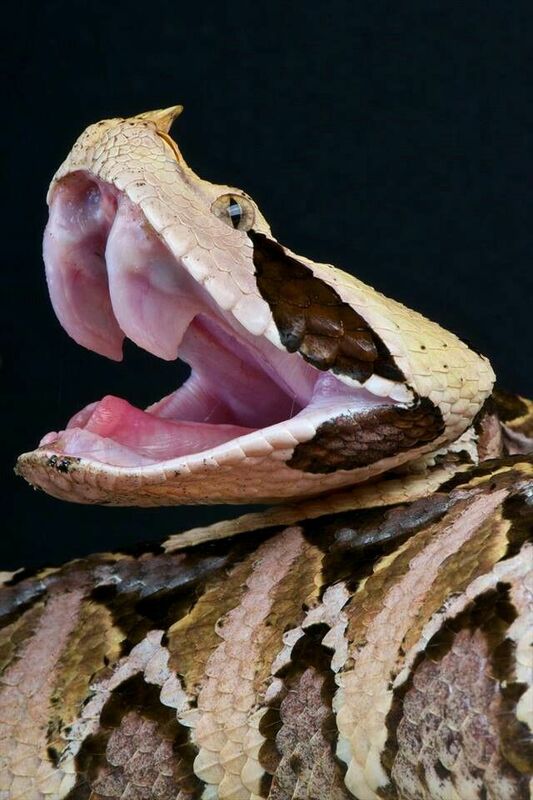 It is very well known for its giant fangs at 2 inches long. 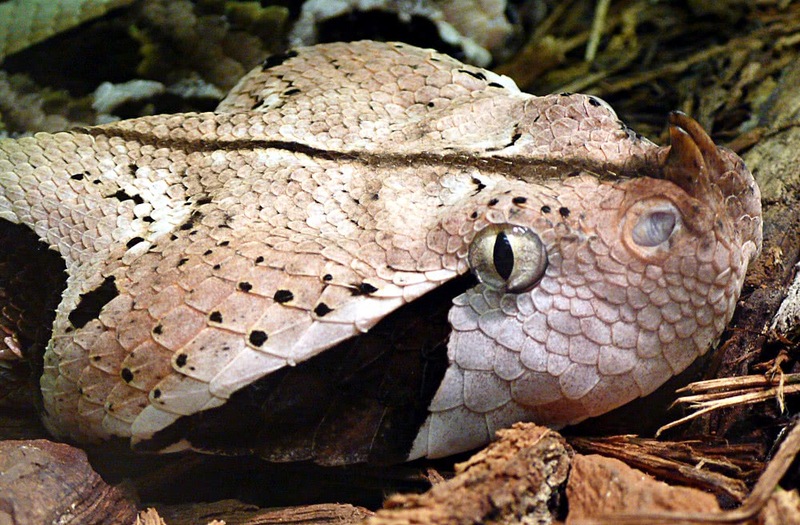 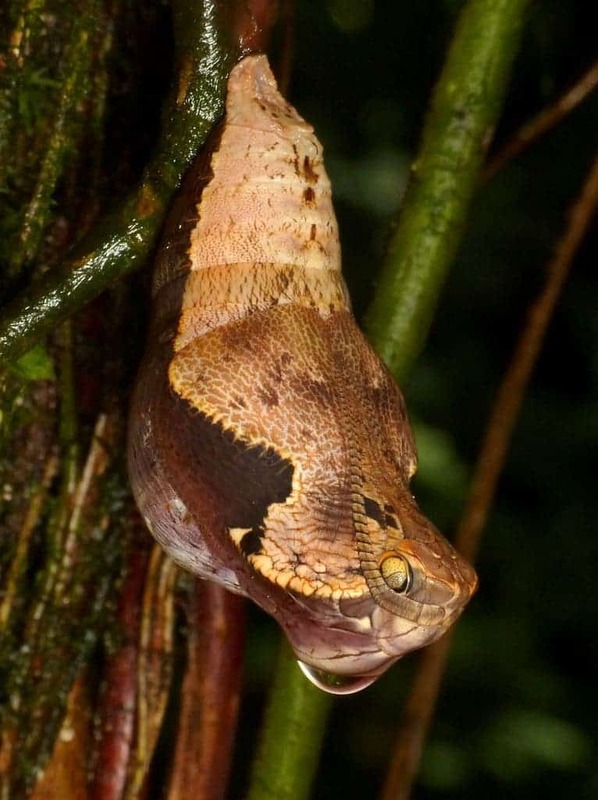 The creatures have been known for there extraordinary camouflage with there leaf shaped heads. 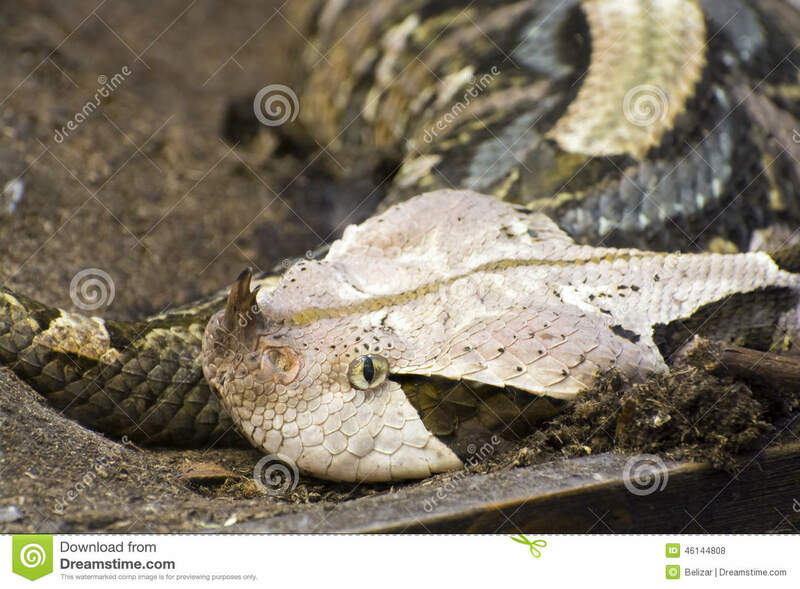 They bury themselves amongst the leaves with their head sticking out. 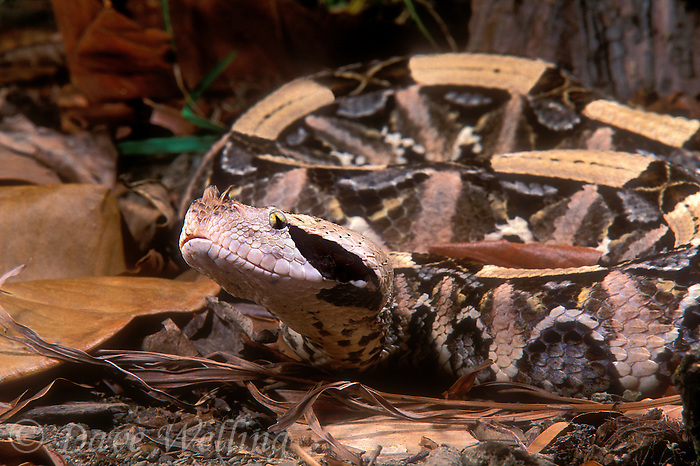 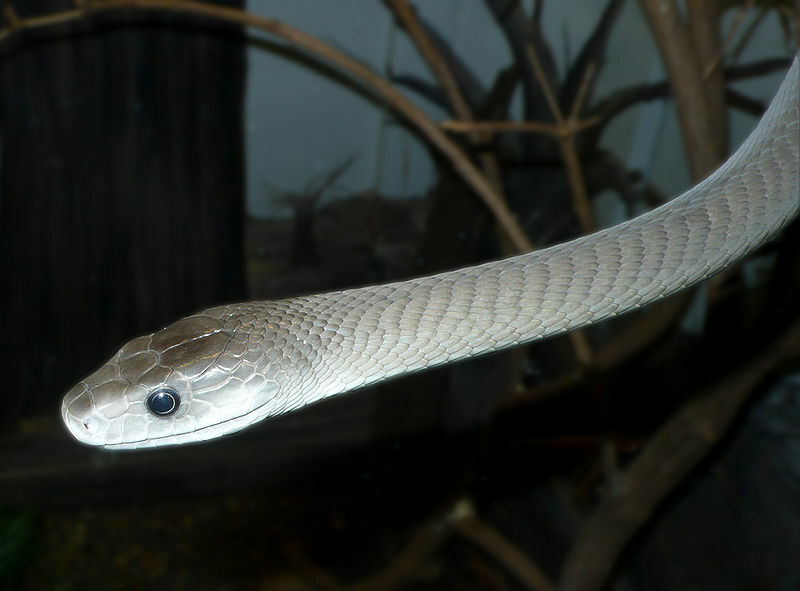 They can kill small rodents and creatures with powerful venom instantly but with the bigger animals it has to chase down after biting it.